In equipment design, structural engineering and engineering analysis, professionals often need to have some specific information on material properties such as TTT, CCT diagrams, metallography, machinability and magnetic data. Fast access to this information is usually essential to complete engineering tasks successfully and efficiently, and this is exactly what Total Materia gives you. 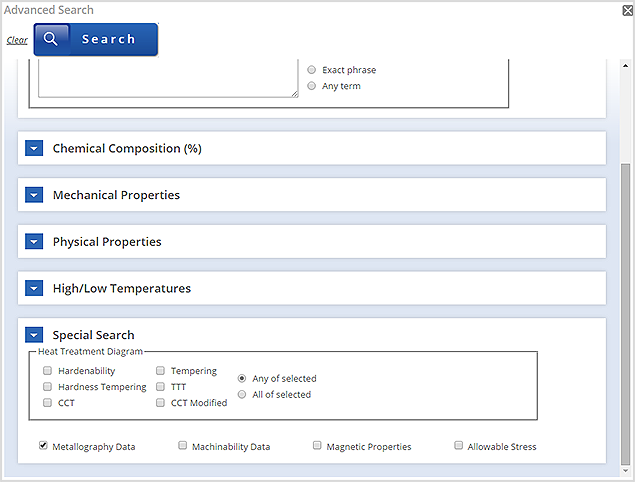 It is possible to find metallography data in two main ways, either through a specifically selected material or by using advanced search to generate a list of materials with data. 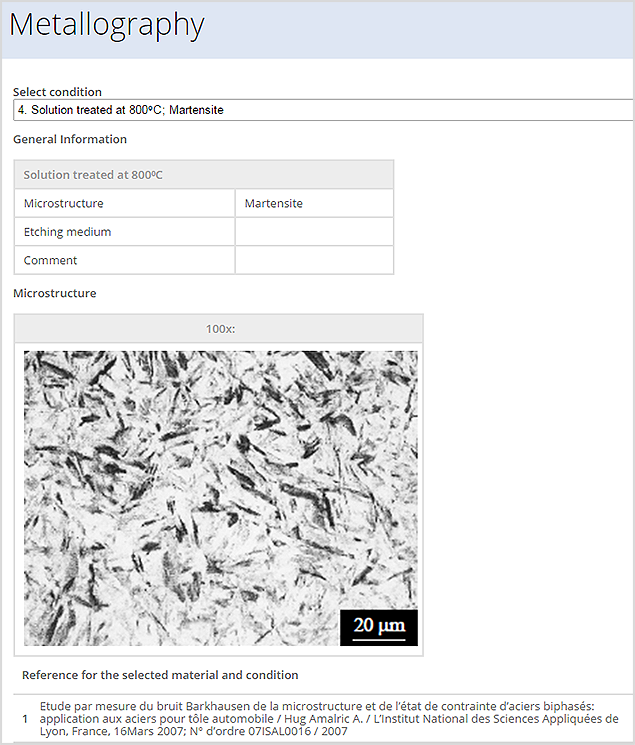 Here it is possible to view all available metallography images for a range of conditions, general information on microstucture and etching along with references for the specific data on the view page. 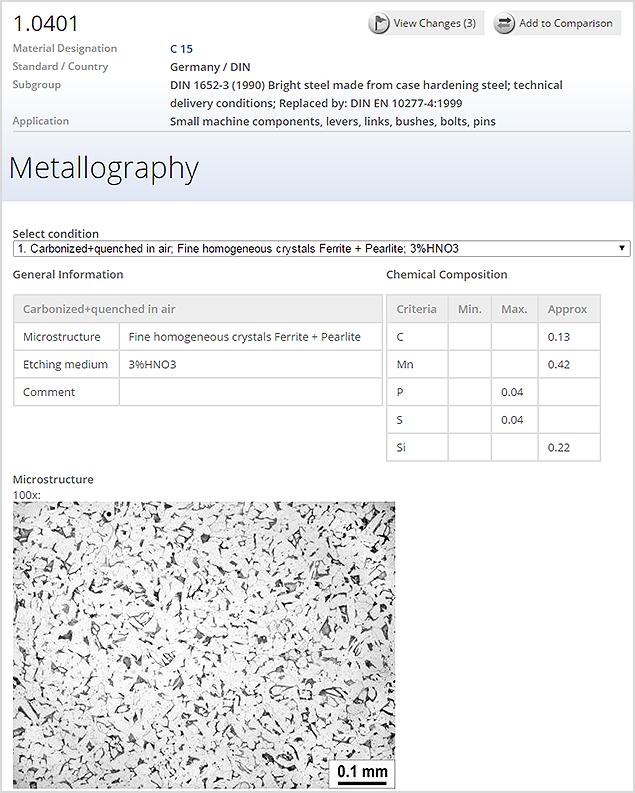 In the second example we use Advanced Search for the identification of steels from the Austrian Standard (ONORM) that have metallography data. To define the search criteria you can select ONORM from the country's pop-up list and the group of materials of interest. In the special search section at the bottom of the page it is possible to check the appropriate box relating to metallography. 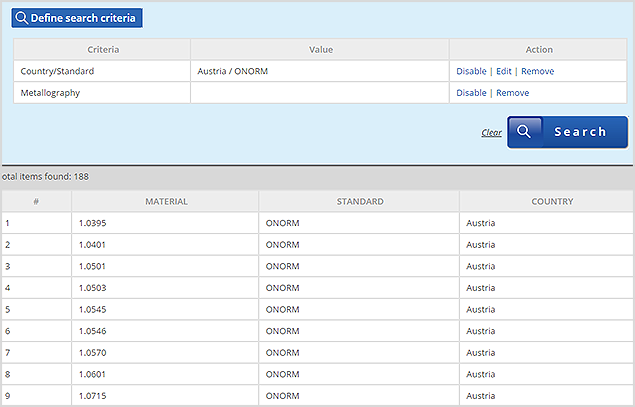 After you click the Search button, Total Materia will find all materials from the ONORM standard that fulfil the given criteria and display them in the list. 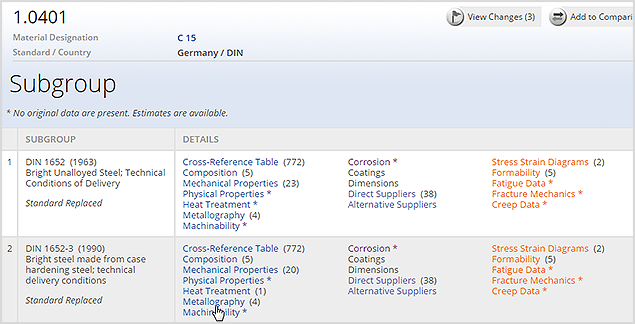 To view properties of some specific material from the list, click on its designation and then navigate to the subgroup page and view metallography information in a matter of seconds.